Time to fast forward to just minutes before the reaching the finish line on the unforgettable day. For a detailed insight into the race experience, check out my previous post. Fans on both sides of the road were increasing as I approached the finished line, closing in with each and every painstaking step. I hear an encouraging shout-out from the crowd, “Almost there buddy!” At that exact moment, it dawned on me, “I’m going to make it.” A sudden rush of tears fell out of my eyes. I was overwhelmed with all sorts of emotions. The music from the finish line got louder as a started to sprint, almost as if someone poured a bucked of energy into me, reviving my body. I relished the next minute taking in all in. I then took a turn to the right, and the finish line was in sight. I’ve imagined this upcoming moment countless times in my head, and I thought to myself, “this time … this time it’s for real.” The commentator screams out, “Here all the way from Saudi Arabia; Fahad Algosaibi, you are an ironman!! !” I was on another level. Overloaded with joy after crossing the finish line, one of the local volunteers put a medal and towel around my neck. “Are you feeling okay?”, she asked. I chuckled, “I’m feeling fantastic!”. We shared a moment of laughter, and as she was about to leave I asked her, “How about you? How are you feeling?” Her face instantly glowed. We walked around the finish area as a stretched out my body and found a place to rest. She was so sweet. As a matter of fact, the whole team of taiwanese volunteers were brilliant, and I’m really thankful. They truly made it a memorable experience. She took out her phone and we took a few selfies, and then she was off. Time to get some grub. This is where things start to get blurry. I started filling plate after plate with a mountains of pasta as I munched away. As I was finishing my fourth plate, I began dozing off, and my head started tipping forward. Time to get some sleep. I was certain that the instant I make contact with the bed I would pass out. After a 15 minute bus ride (in which I slept, of course), I walked painfully back up to the hotel and then to the room. But this type of pain didn’t bother me at all, it just reminded me of what I went through to make it till the end. I laid in the bath from a while, then, as I began dozing off again, couldn’t wait to hit the sack. As I came out of the bath I was completely overwhelmed with the strangest sensation. Every muscle fibre in my whole body was shivering vigorously! It reminded me of the shivers one gets during a fever, however, this was so much more intense. The more I tried to resist the shivers, the more intense they got. This walk from the bathroom to my bed was the most difficult walk of my life. As I laid there in bed, the shivers intensified further, and I started getting really worried as my body began sweating profusely. At this point I felt like a passenger that was simply experiencing my body, as I was completely out of control, physically. I felt like a phone vibrating endlessly on silent mode, helpless and unable to get any attention. I thought to myself, “Is this what it feels like to push beyond the limit?”. This lasted for about 10 minutes. Every second felt endless. The shivering slowly eased away, and sleep replaced it instantly. As I hesitantly told my mother about these shivers, she was quite fascinated. I was caught completely off guard because I expected a far more worried reaction. “Your nervous system experienced a lot of stress, and this was your body’s way of releasing all that stress and resetting.” I was fascinated too! We discussed the topic for a while, and she shared a few more interesting stories. “After humans or animals suffer severe trauma, they go through a similar experience, and this is an especially common post-accident phenomenon. It’s a natural healing process that shouldn’t be interrupted. Forceful interruption of this reaction might even be fatal”. Wow. I also want to mention what a humbling experience it all is. The night before the race, during dinner, I coincidentally ended up sitting with an elderly German athlete. As we got to know each other, I asked, “How many ironman races have you done?”. “47”, he said, as a smile slipped through onto his face. He could tell that I was stunned. “I’m planning on doing every race on the calendar this year”, he elaborated. “That’s amazing,” I told him. For your reference, he’s more than 3 times my age, and he began training just over 5 years ago. This means that at one point during the year he’s going to have to do 3 ironman races with only one week intervals in between, all the while traveling from one destination to the other. I really hope he makes it, and I’m sure he can do it. About half way through the bike I remember him passing me. He finished the race ahead of me! Keep in mind, this is just the one guy I happened to end up sitting with, just imagine what some of the other 1000 athletes’ stories might be… It’s an extremely humbling experience, and really engraves the concept of that we’re capable of achieving literally anything we set our minds to. So, what did those ‘crazy guys’ say? 2-3 days and I’ll have the post-race blues? This wasn’t the case at all, as I had expected. A few days pass and I’m still feeling awesome, but of course, not completely normal. I was far from any sort of depression-like state. Understandably, my demand for food and sleep reached record breaking heights. 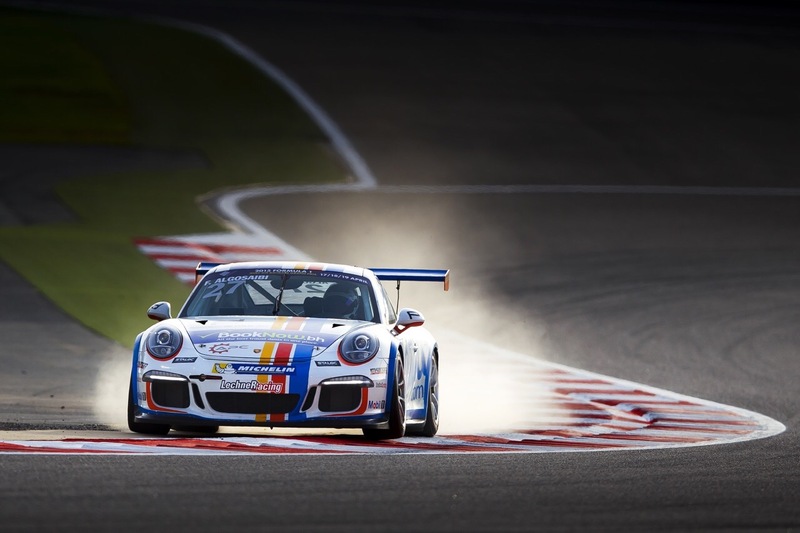 Nevertheless, I was set on accomplishing the next task at hand, the final race weekend of the Porsche Cup Challenge Middle East, which was the main support race for the Formula 1 in Bahrain. I can’t express how highly I was anticipating this race. I was fully focused on eating and sleeping well so that I would be in the best possible condition for the race which was coming up in a few days. Alongside, I continued my mental training and preparations. Off to Bahrain! 4 days after finishing the ironman, I was in the race-car getting ready to go out for the Friday practice session. At this point, my physical condition was much better than I expected it to be. I even went out for a light jog the previous morning to get my legs moving again. We went out on the sandy track for some practice laps. During the first lap, I began feeling a sensation of weakness overcome my body, and I started feeling dizzy and noxious. I struggled to make it through the next 30 minutes. I was out of the car, not feeling well at all, but I knew that I had to stay strong mentally if I was going to have any chance of making it through the weekend. I almost considered stepping out of the race, but my now positive mentality quickly shuttered and dissipated that thought. I kept thinking of what this race meant to me and was going to give it everything I had. I had qualified 6th for Race 1 & 4th for Race 2. There were lots of fans, family, and friends that came to support us during that weekend. I knew expectations were quite high so I apologised for the relatively poor performance after meeting up with them. “Don’t put any pressure on yourself”, my father reassured me. Race 1 was very intense. The three drivers leading the race initially were involved in an accident and two of them retired from the race. I managed to avoid the collision and ended up in third place. 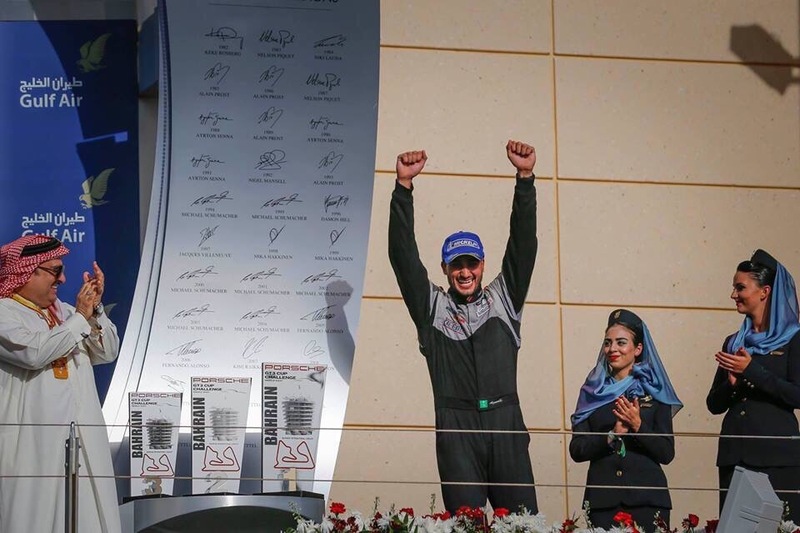 My teammate, Bandar Al Esayi, got into the lead and drove put down an absolutely outstanding performance, staying consistently quick for the remainder of the race. I trailed in 3rd place, unable to close the gap in front of me. We started the weekend with a phenomenal result, with my teammate and I making it to the podium. Our team, Classic Arabia, won the team trophy and we just scored our best (team) result, ever! Suddenly, I’m feeling back on a high. On Sunday (19th of April), just hours before the start of the F1 race, there we were, on the grid. I looked up to my left and could see/hear my family and friends! 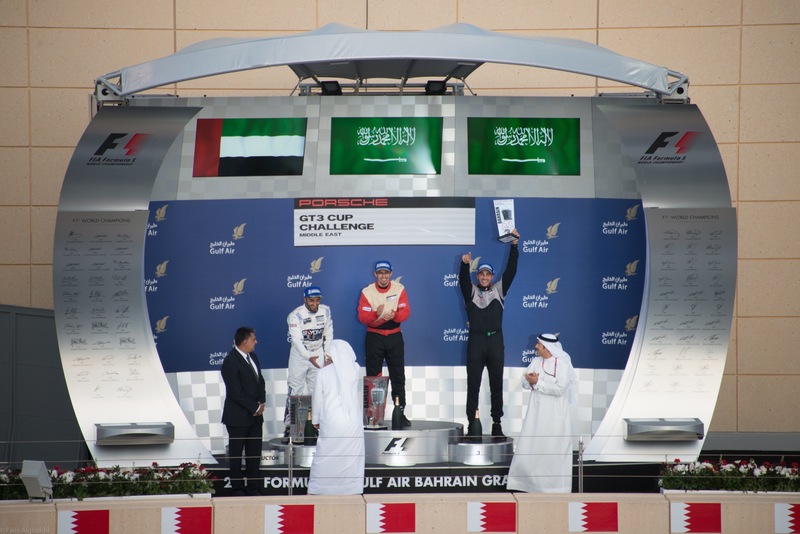 “il7mdillah”, I thought to myself, as I brought my focus back to the race that was about to start. As usual, I recited a short prayer and began visualising the start of the race. This is it, the last race of the season, supporting the Formula 1 race, on race day! The red lights went out and off we went, attacking the first corner. We were all really aggressive, not holding back. As I hit the apex of the first corner, I felt a nudge in the rear which pushed the car sideways. I slammed my foot down and counter-steered instinctively, maintaining control of the car, as I looked for that crucially important exit line. Heading into corner 4, Shk. Hasher out-braked Charlie (currently P1) and was on the inside racing line. I anticipated that Charlie would have to wait slightly before being able to turn since Shk. Hasher was on his right. I decided to brake late and take a deep line into the corner and make an attempt at overtaking Charlie. As Shk. Hasher moved into first place, I ended up side-by-side on the outside of Charlie’s car as we were turning into the corner. I was carrying a marginally higher mid-corner speed. Struggling to find grip and keep control of the car, I squeezed by into second place. We filed in behind each other and settled into our race pace. Here’s where my ‘race-heimers’ kick in. After most races, especially when it’s a close race, it’s difficult for me to recall certain moments or even the sequence of events. When I access to race footage after a race I have lots of “Did that? .. Oh yeah! … I remember – that” – kind of moments in my head. Anyway, the next few laps were extremely close, with bits of pushing and nudging front and back. I made a few unsuccessful attempts to overtake and almost got overtaken in the process. A slight gap began forming between the lead driver and I. Every cell in my body was focused 100% on getting that top spot. Patiently, I studied his race lines as I slowly but surely was closing the gap, with only 2 laps to go! I knew where I had the best chance of overtaking him. After the Oasis straight came the fast sweeping left then right corners, in which I knew I was faster. I got close, but not too close, to make sure I didn’t get held up before the exit. I had a great exit and stayed in his draft, getting closer and closer as we approached the final corner, right where I wanted to be. All I needed now was a smooth exit in order to stay in that draft. I drove out of the last corner, screaming inside my helmet all the way down the main straight. I forgot just how sweet victory tastes. It had been 5 years since I won a race. (And trust me, it was a long long long 5 years) I was beyond ecstatic. To top it all off, so many dear family and friends were witnessing this whole experience, supporting and cheering all the way through. I can’t thank you all enough!!! 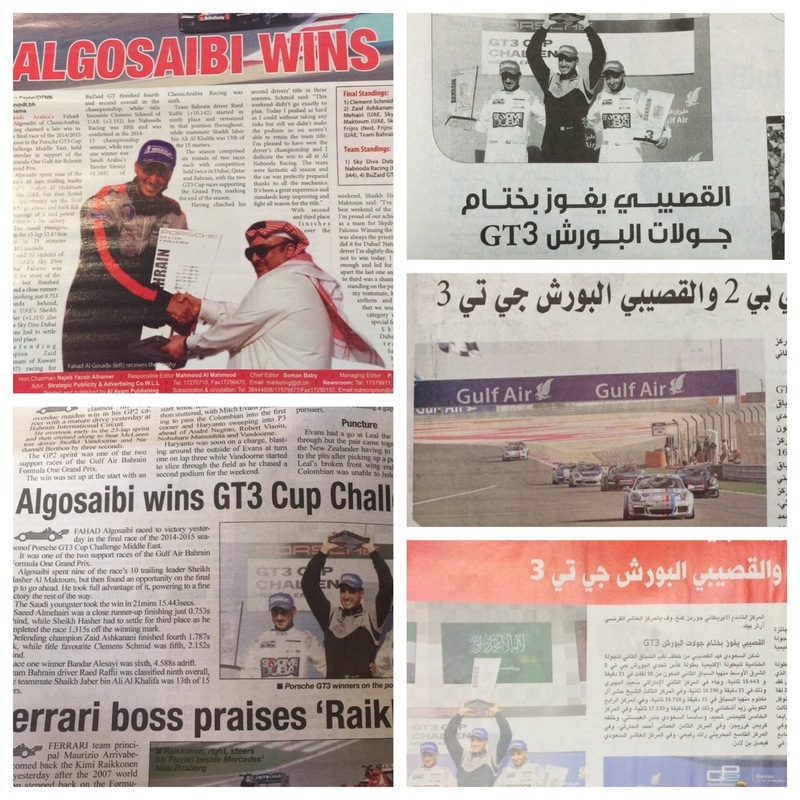 Some newspaper clippings from the morning after. About a week ago, I got back to Beijing, and that’s when I crashed. I woke up sick the next day, and averaged around 12 hours of sleep through each of the next four days. 2-3 days later, you won’t believe what started to creep in … (At least, I couldn’t believe it). “While we often joke about it, it can be a seriously difficult time. But guess what? It’s totally normal. If you’ve never experienced this particular type of the blues before, you might be asking yourself “why?” The usual come-down off of a life high can be made more pronounced by an event like an IRONMAN race because of a few factors: the intensity and length of the preparation (training), the magnitude of the accomplishment and the depth of the ensuing fatigue. Let’s look first at the preparation. A race, in a sense, interrupts our training “flow,” spitting us out on the other side. Mimi Winsberg, a psychologist and IRONMAN age-group champion, says that when we’re training, we’re immersed in a cycle of stress and then release, bolstered by high dopamine levels, endorphins and even endocannabinoids. “I think it’s what makes this pursuit of ours so addicting,” Winsberg says. We like that feeling of being fully absorbed in our experience.” Winsberg adds that when such a cycle ends, the need for recovery is high. Most athletes, however, get thrown right back into a stimulating environment, making the process almost like withdrawal. Secondly, the magnitude of completing an IRONMAN can itself be another catalyst for the blues. “It’s not every day you get to feel like a rock star—which most people do when they cross an IRONMAN finish line,” Winsberg says. Along with this feeling comes a sense of relief and also euphoria. When those wear off and are replaced by the mundane and stressful demands of life, we become prime candidates for the blues. I now know, I’ve only been delaying our date. Growing stronger and stronger – the longer you wait. Senses of sadness and sorrow, this subdued state. We were destined to meet, it’s a matter of fate.